You can help support my work by becoming a patron on Patreon or by clicking this Amazon affiliate link when shopping. 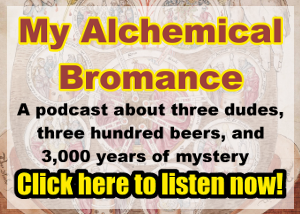 Patreon will enable me to write more content for this website, create additional podcasts at My Alchemical Bromance, and create learning materials on Tarot, Hermeticism, and the occult for my patrons. Help support me by becoming a patron! Access to exclusive content starts at just $1 per month. Clicking through to shop on Amazon also helps. Here are some great books that I would recommend to get you started.